Feeling more anxious these days? You've got plenty of company. Worries about safety topped the list of anxieties, with 36 percent of Americans describing themselves as extremely anxious about "keeping myself or my family safe." About 31 percent said they were "somewhat anxious" on this score. Financial fears were close behind. The prospect of paying bills and other expenses made 35 percent of survey respondents feel extremely anxious, and 32 percent said it made them somewhat anxious." And then there were concerns about health. 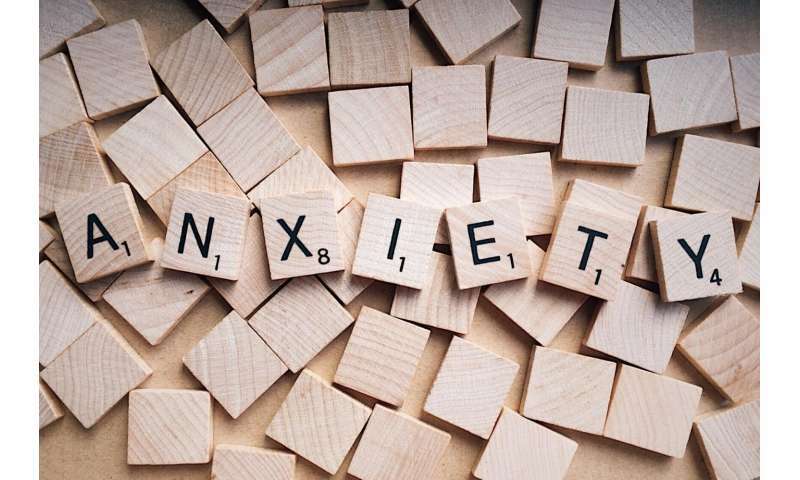 The 28 percent of Americans who reported being extremely anxious about their medical condition were joined by 39 percent who said they were somewhat anxious about it. All this angst contributed to a 5-point increase in the country's "national anxiety score," the psychiatry group reported this week in conjunction with its annual meeting in New York City. The metric, which is measured on a scale from 0 to 100, rose from 46 in 2017 to 51 in 2018. There seems to be plenty of anxiety to go around. The APA noted that anxiety was up among men and women, among people of various racial and ethnic groups, and among adults of all ages. Generationally speaking, the most anxious Americans are millennials, the survey found. But in the past year, anxiety increased more for Baby Boomers than for millennials or for members of Generation X.
America suffers from an anxiety gender gap, according to the poll. Among adults younger than 50, 38 percent of men and 57 percent of women said they had become more anxious in the past year. They were joined by 24 percent of men and 39 percent of women ages 50 and older. People of color scored 11 points higher on the anxiety scale than white Americans, the APA said. The contentious political climate is a significant source of anxiety for a majority of Americans, the survey found. One in five respondents said they were extremely anxious about "the impact of politics on my daily life," and 36 percent said they were somewhat anxious about it. And anxiety seems to follow Americans wherever they go. Relationships with family, friends and co-workers made 20 percent of respondents feel extremely anxious and 27 percent of them feel somewhat anxious. These findings are based on a nationally representative sample of 1,004 adults, who answered questions about anxiety during late March. Their responses were compared with results from a similar survey conducted in April of 2017. The poll's margin of error is 3.1 percentage points. "Increased stress and anxiety can significantly impact many aspects of people's lives," Dr. Anita Everett, president of the American Psychiatric Association, said in a statement. Her prescription for reducing stress includes "regular exercise, relaxation, healthy eating and time with friends and family."